Location:10 Andson Road #01-37 international plaza Singapore 079903 | It is around 5 minutes walk away from Tanjong Pagar mrt station. 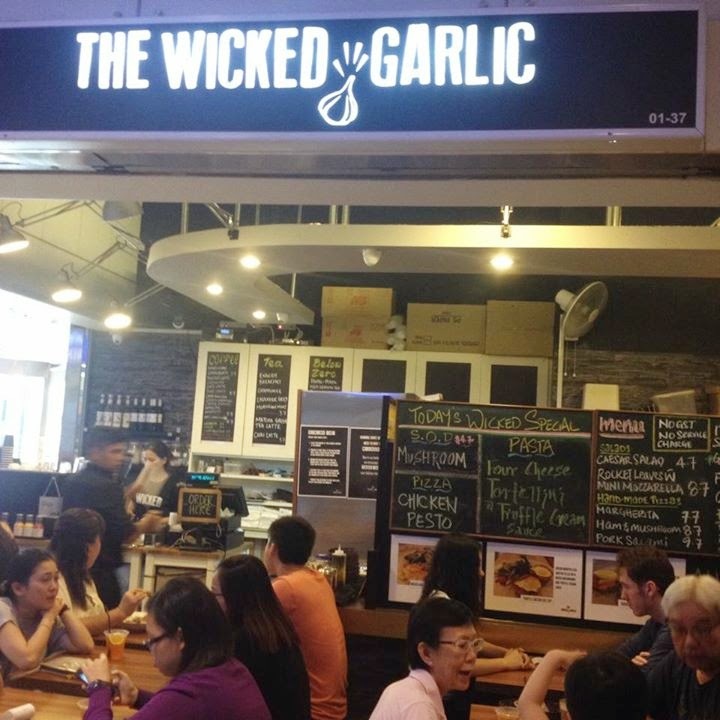 It was quite of unpleasant dinning experience though the food are nice and affordable. It is really quite a small store with limited seating and there is no proper queue system. The staff told us to place orders first while they will reserve the next table for us. However, they totally forgot it and allocated the next table to the customers who came lately. We had to wait another 15 minutes and clear our own table instead. This is really ridiculous. The menu was all in Italian words. The whole restaurant was quite of noisy when I was placing order and the staff made a mistake in order. Furthermore, it is a common practice for the staff to repeat the order after the customer has placed their order but he did not. When the staff served the "wrong" order, he refused to change even though my friend had not touch the dish. He said there is no other customer ordering that dish so my friend has to settled for that. I have worked in F&B for a few years and dined outside for many years but this is the first time I encountered such ridiculous thing. Luckily, the foods are quite nice and affordable. Insalata Cesare ($4.7): Crispy bacon not really that crispy but I just love bacon. 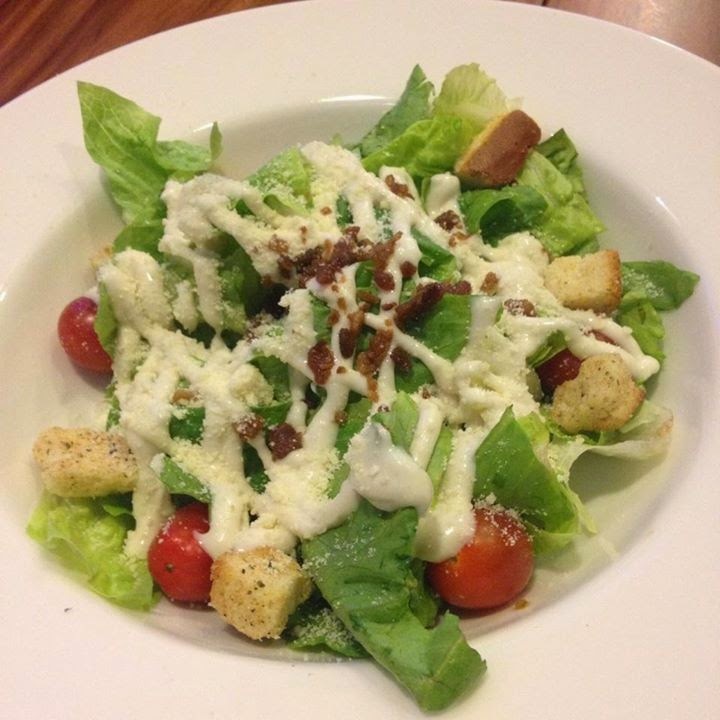 The crouton are quite crunchy, the vegetables are fresh and goes well with home-made Caesar sauce. It has a slightly sweet taste which is just nice for me. Apple Pie ($5.7): It remind me of Macdonald yummy apple pie so I decided to give it a try. 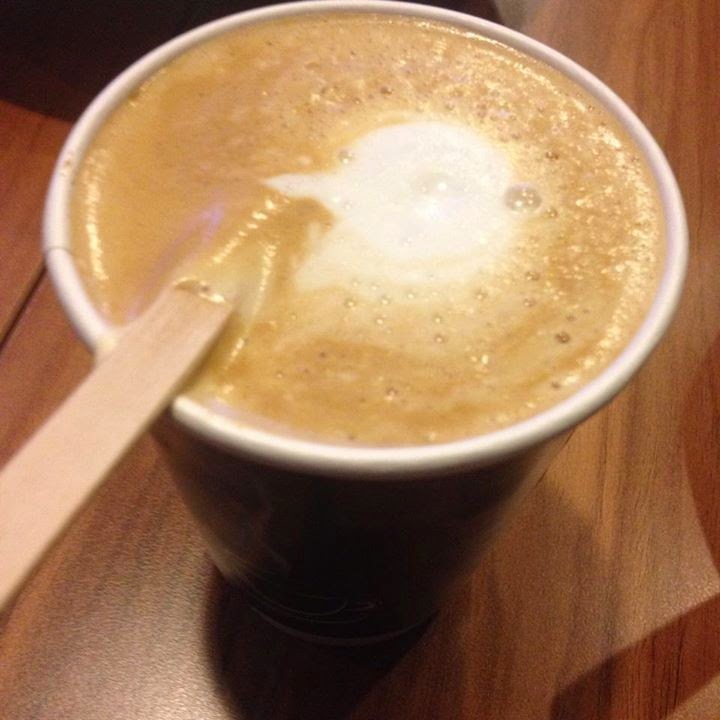 I expected it to have a strong sweet apple taste but it is just a normal coffee with slight apple taste. Kind of disappointing. 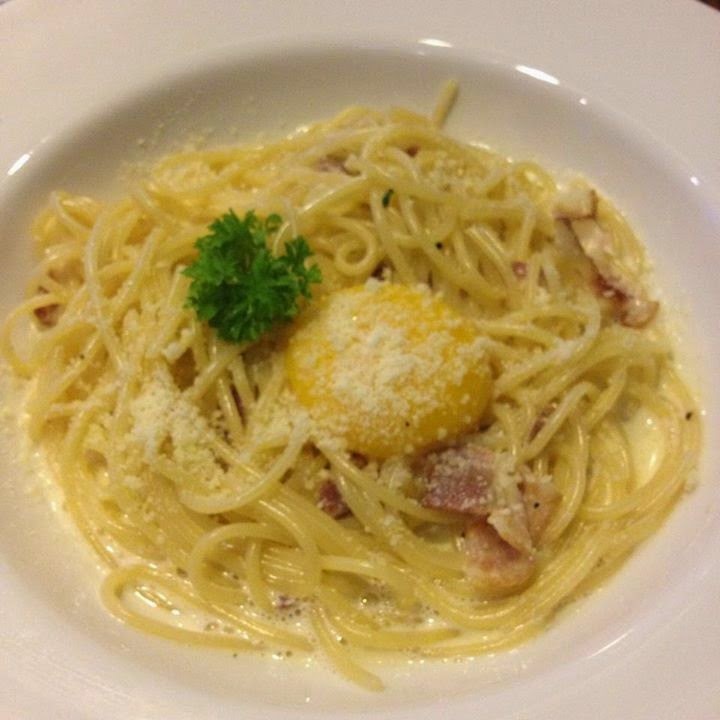 Spaghetti Alla Carbonara ($8.7): The portion is just nice for one person. The sauce is the most essence of the dish. If it is too creamy, it will make people feel sick and unable to finish the whole portion. This has the right texture and yummy bacon. My friends ordered Ling Nero Di Seppia ($8.7) is squid ink pasta which is nice but always leave the person with black lips and teeth... Another friend who had the wrong order "Penne Al Griglia Pollo ($10.7)" which consists of grilled chicken tossed with Penne in Pesto Cream sauce. It does not look appealing and taste quite normal. Overall, it is quite a nice place if you want to have affordable and nice Italian cuisine but do not expect much from the service. Chicken up or chicken down?